The lesson rates correspond to the seasonal price list. The payment of the lessons should take place in the office before the lessons start. The price for lift tickets and equipment is not included in the course price. Registration for lessons is only possible through the ski school office. Appointments can not be made through the skiteachers due to internal organisation. A guarantee for the same instructor may not always be given. Unused course days can be taken later in the ski school Zugspitze-Grainau. Cancellations should be made the day before up until 18.00 hrs. Otherwise there will not be a refund. If cancelled on the day of the course a refund is only possible with a doctor’s note. The ticket for the course is not transferable to other persons. Lessons cancelled due to weather conditions (act of nature beyond control) will not be refunded. 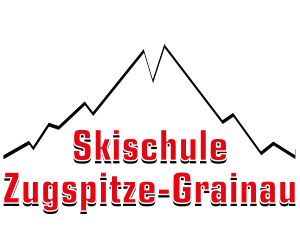 The ski school Zugspitze-Grainau accepts no responsibility for any accident during class operation. Accident and liability insurance is the responsibility of the participants. Group lessons and private lessons are held in all weather conditions that is safe. Error, change and correction without notice. The hirer shall be fully responsible fort he rental items. 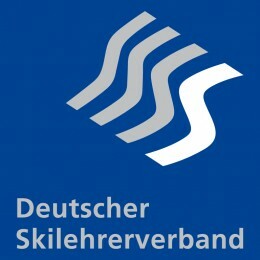 With the signature of the hirer on the rental document he accepts the terms and conditions of the ski school Zugspitze-Grainau. Hiring after 15.00 hrs the price will be charged from the next day on. The rental return should be made before 09.00 hrs and the day will not be charged. If the equipment is not used due to weather conditions or other reasons there will be no refund. The hirer is fully responsible for the equipment and should be returned in the same condition as received. By hiring the equipment the hirer has the possibility to book a risk contribution for 10 percent of the rental sum. This covers loss and breakages of the rented equipment 100 percent. In case of loss and extreme damage of the rental items and the hirer does not have a risk contribution, the market value of the rental items will be charged to the hirer. In the case of theft the hirer must make a loss report at the local police station. In case of abusive damage tot he rental item the necessary repairs will be calculated according tot he price list and the hirer will be carged. The change of rental objects in the contract duration is possible. In case the rental items are from whatever reason not returned properly, we will file charges for theft. For the assembly, repair and adjustment of a ski binding a regular rental agreement is required. By signing, you agree to the proper setting binding agreement according the manufacturer’s instructions and accept the rules and rental conditions. With the hirer’s signature on the rental form he verifies the correctness of his personal data which is used for the binding setting. The hirer can not change the binding setting unauthorized. The conclusion of the lease is only possible with a valid credit card, identity card, passport or driver‘s licence. We aki for fair treatment of the rented material, thank you for your trust and wish you a pleasant stay.